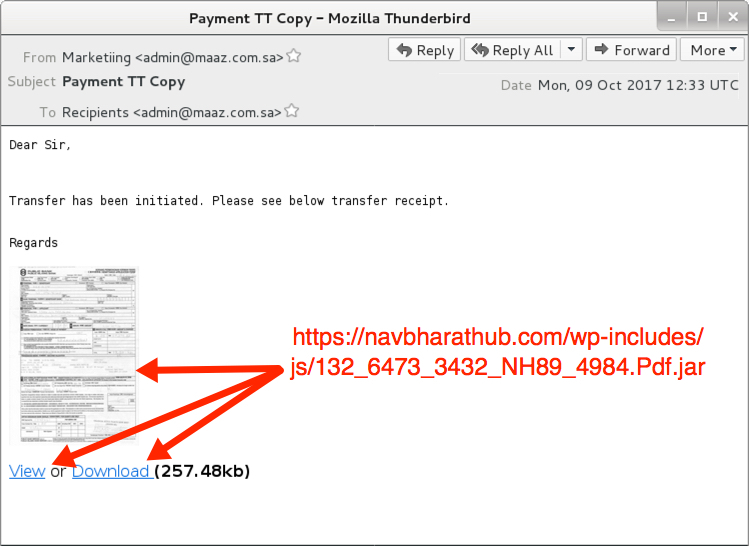 Even though it's been several months since I last examined one of these in-depth, they are a near-daily occurrence, probably sitting in many organization's spam filters. No detections on the downloaded .jar file when I first submitted it to VirusTotal (link). Shown above: Clicking link from the email. 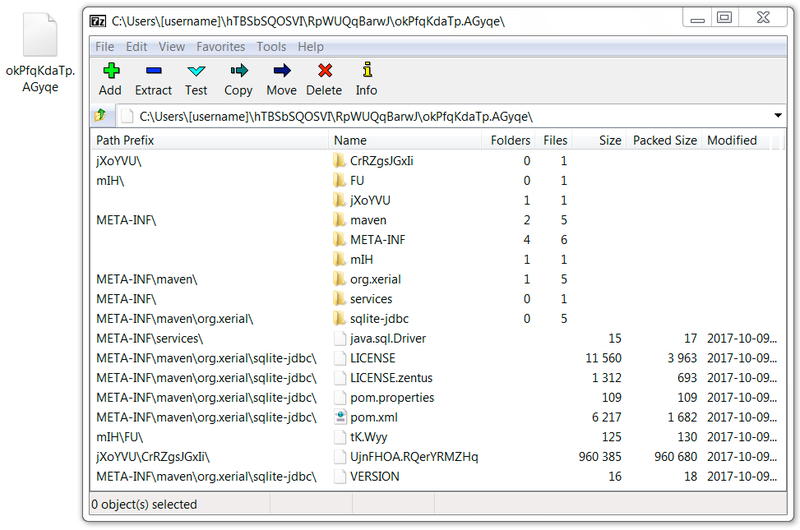 Shown above: The downloaded Java archive (.jar) file. 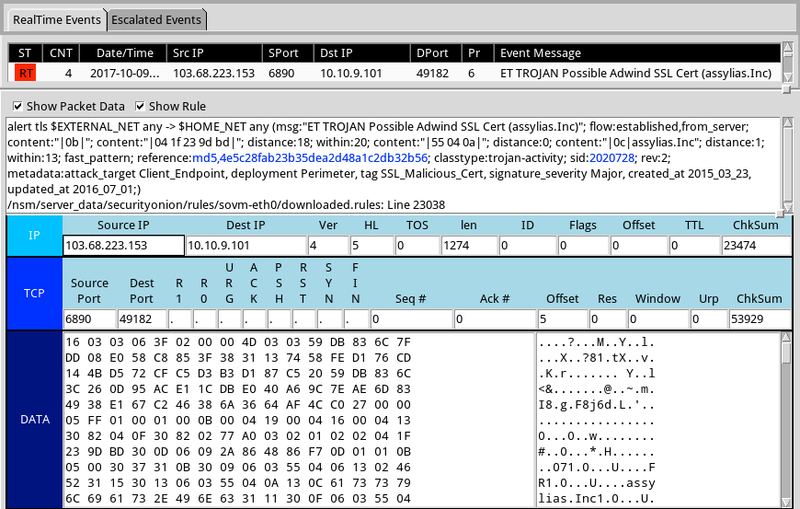 Shown above: Alerts on the infection traffic using the Emerging Threats and ETPRO rulesets in Sguil on Security Onion. NOTE: possibly a corrupt archive. 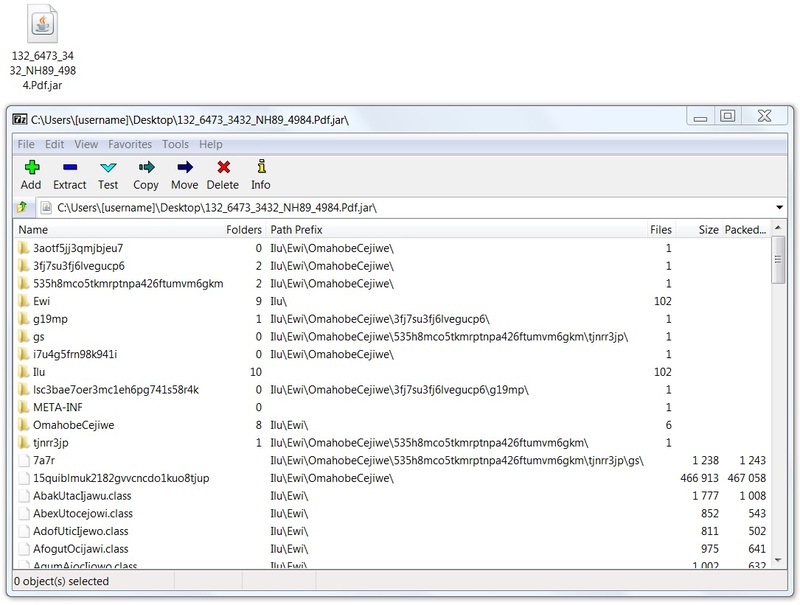 Shown above: Windows Registry updates (and associated files) on the infected host. 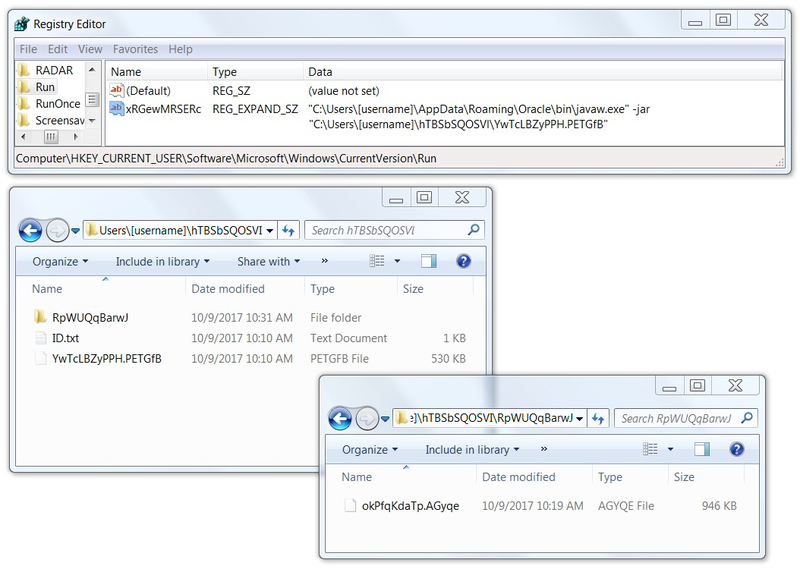 Shown above: Contents of the other .jar archive from the infected Windows host.